Presciense, a leader in smart home automation, today announced a joint development partnership with Sercomm Corporation. This technology partnership will accelerate the deployment of Presciense's smart energy and home management platform for utility companies and service providers - and positions the company for significant growth. "We are pleased to announce this strategic partnership with Presciense in the smart home automation market," said James Wang, CEO of Sercomm. "It will allow both companies to optimise product development and support the requirements of telecom operators and utility companies. Presciense's platform will connect Sercomm smart home products to offer a complete solution. With the growth of IoT, Sercomm is committed to driving new, innovative and integrated smart home solutions." "Sercomm is the worldwide leading manufacturer of smart home, broadband access and home networking solutions, including in-home displays, smart meters, water sensors and more. The company is renowned for product innovation and quality," said Jonathan Lishawa, CEO and Founder of Presciense. "This partnership allows Sercomm to leverage Presciense's integrated platform and mobile applications, so all devices in the home, including pre-existing smart home devices, can be viewed through one platform - be it on a mobile device or laptop. This offers a complete home automation solution to service provider customers." Sercomm Corporation is a worldwide leading manufacturer of broadband and wireless networking equipments. Founded in 1992, Sercomm has been focusing on developing embedded solutions to make networking simple and affordable. Headquartered in Taipei, Taiwan, Sercomm's global operation network covers markets of North America, Europe and Asia Pacific, and its customer base includes the world's top ODMs, telecommunication vendors and system integrators. Listed on Taiwan Stock Exchange, Sercomm posted sales revenue of NT$23.19 BN in 2014 (approximately US$763 MN). For more information, please visit www.sercomm.com. 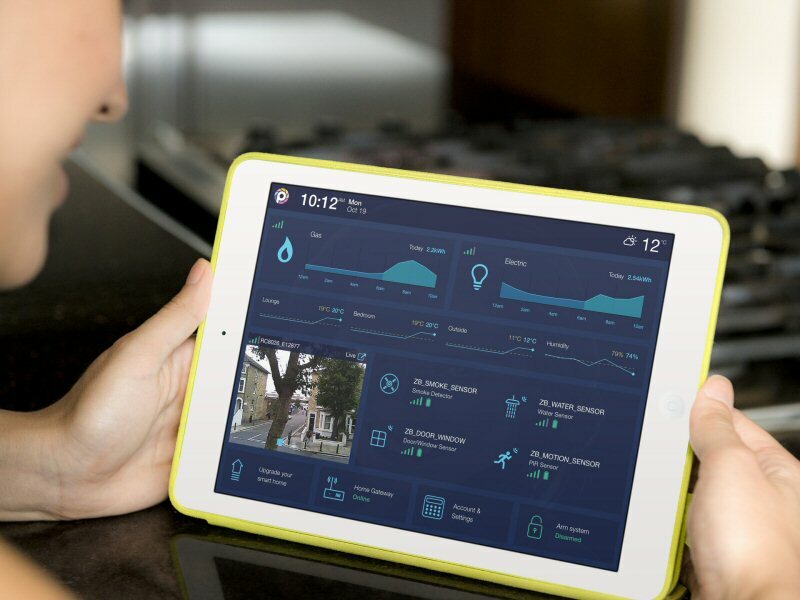 Presciense's integrated platform enables utility companies and service providers to offer a range of Smart Home services to their customers and view all devices in one place. Headquartered in London, England and with R&D in Manchester, Presciense's operation network covers markets across the UK and Europe. Please visit www.presciense.com.